Our regular readers know we don't usually send around more than one email or so a week. This week, however, is one of the few exceptions because of the holidays and the now famous Black Friday and Cyber Monday sales. We want to help you get the most out of this exciting time of year. 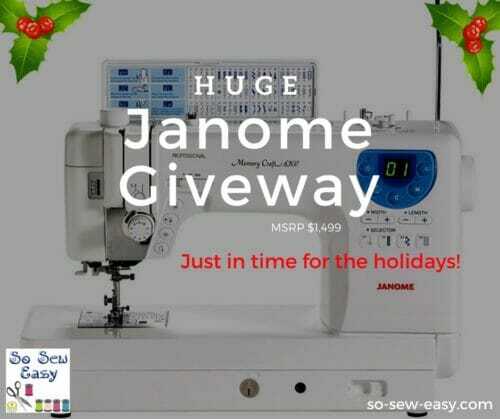 As a lead up to the sales, yesterday we announced a new Huge Janome Sewing Machine Giveaway with a RRP of $1,499. If you haven't yet entered, you definitely should. Since we launched last night, many readers have asked the best way to enter the contest to have the highest opportunity to win this major prize. Easily the best way to do this is to use the “Share With Friends” entry option. When you do this, not only do you register an entry for yourself at the time, but you also get a bonus entry if any of your friends enter the contest. Your chances are supercharged! All you need to do is share on Facebook, Google+, Pinterest or Twitter from the contest entry form. Just click the image below to enter. 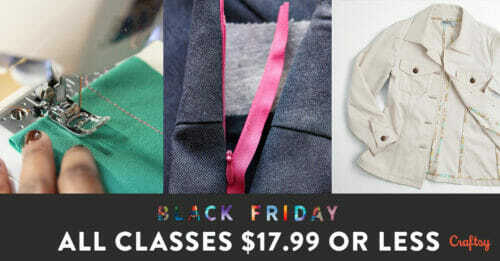 Still the sales on offer today are significant and Craftsy are claiming to be offering their lowest prices on classes EVER! So it is definitely worth checking out their site today and over the next few days if you've been waiting to buy that special course. Please click the images below to enjoy these huge savings. Our friends at Fabric.com are offering a special 10% discount off a wide selection of fabrics and an even larger 30% off some clearance items. Fabric.com is part of Amazon.com so you can be confident they will deliver what they say, when they say and at a good price. Their customer service is also among the best in the business. Students learn from top creative professionals—classes are curated and taught by the world's leading experts. Classes are available live or on demand, available 24/7. There are over 1,500 classes on Photography, Art & Design, Music & Audio, Money & Life, and Crafts. The venerable Fons & Porter is offering a big discount on sale and clearance supplies for Black Friday, followed by a big, 30% storewide discount on Cyber Monday. If you need quilting supplies, now's the best time of the year to shop! Just click below to save. One of the other big quilting supply shops, Keepsake Quilting, is offering free shipping for Black Friday. They might save you a bundle depending on where you live. 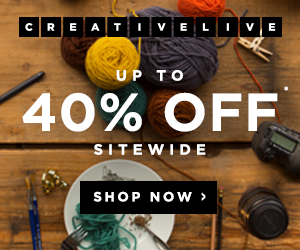 Please click below to check out the savings. 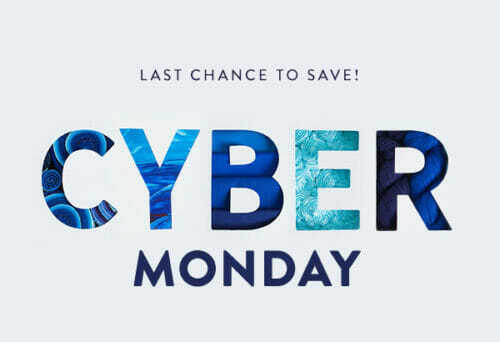 Our friends in the UK are going to enjoy some significant savings from Terrys Fabrics. 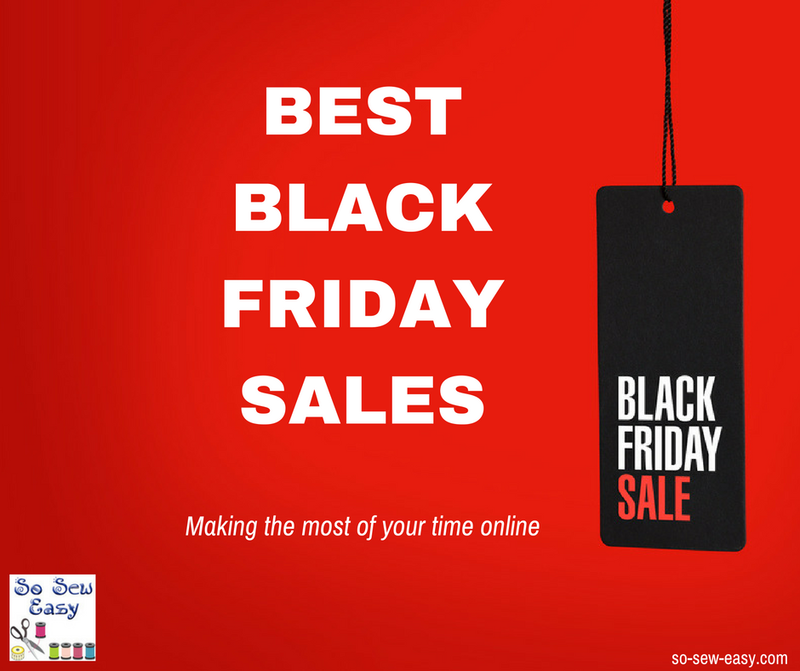 While not as popular as in the US, the Black Friday sales seem to be increasingly popular overseas. Terrys' offers include savings up to 60% but I can see some items on their website saying 95% off! Wow! Click to banner to check it out. Lucy Tote kit would go great with this new machine. I would go great with this new machine? I have an older Kenmore machine which does very well for me, but moving up in the world of sewing with a Janome would be the ultimate Christmas gift. Thanks for the opportunity to possible win this beautiful machine. Thanks for sharing all in one place! What a wonderful opportunity to win a new machine. Thank you for allowing usto enter. I could use a new sewing machine as I am becoming a first time grandma in the middle of next year and have plenty of projects planned. My standby is a vintage mechanical workhorse, which I love, but am open to trying new things! Why not? Why shouldn’t it be me? Even though my old Kenmore boat anchor is like an extension of me, I would love to have a machine with more features. BTW, what a great idea to have all the Black Friday promos in one post! !